IWATA, September 20, 2018 — Yamaha Motor Co., Ltd. announced today that its MOTOROiD has received the ultimate “Gold” honor at the International Design Excellence Awards (IDEA) competition in the U.S., one of the most prestigious global design awards. The MOTOROiD concept model attracted much attention when exhibited at the likes of the 45th Tokyo Motor Show 2017 and CES (Consumer Electronics Show) 2018. This selection represents Yamaha Motor’s first-ever IDEA Gold award. The 2018 IDEA awards, the 38th running of the competition, attracted a record number of more than 1,870 entries from around the world. A total of 145 winners were honored across the Gold, Silver, and Bronze levels. This achievement marks the second design award received by the MOTOROiD, following on from the “Red Dot Award: Design Concept 2018” competition “Best of the Best” honor. Meanwhile in Aragon, Valentino qualifies behind Karel Abraham. Come on Yamaha, get your priorities straight. Nothing against the bike (or the idea, at least, execution is another story), but Yamaha’s PR/marketing department needs a serious overhaul. This was cringey to the max, and I speak Japanese, so they can’t give me the usual “lost in translation” excuse either. It looks like there selling saber printers to me. By the time I am being lovingly fondled by my own production model Yamaha Motoroid as I lane split past self driving cars, all the grumpy old men from the Motorcycle Daily comment section will have passed on. Sorry gramps but the future looks (and feels) good! C’mon, we’re all being punked, right ? Where’s the camera guys ? Some of the comments below are absolutely hilarious. verb. To get punked is to have a joke played on you, often in a public setting. An example of punked is to have been tricked by a hidden camera TV show. 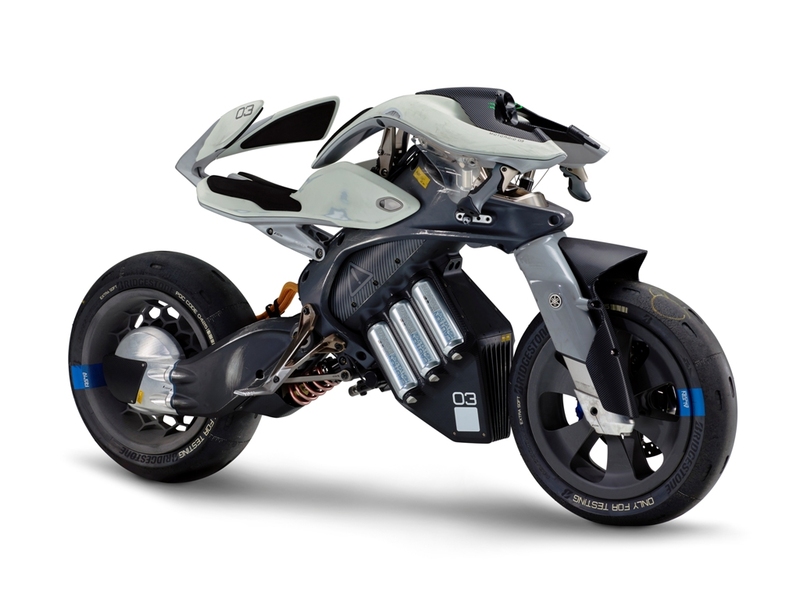 Another example would a normally reputable company trying to make you believe that a MOTOROiD is some sort of motorcycle from the future. Now this will be a 3 FLAGS CLASSIC ride ! In all honesty, the blurb about it resonating with the owner, combined with what looks like an air intake right where a hunched over rider’s seat would be, made me wonder if it was methane powered……. MotoGP, lol! If someone from Honda could teach Yamaha what the word ergonomics means, every other manufacterer would be in serious trouble. I don’t have much experience with their streetbikes, but the riding position on their dirtbikes feels akward compared to other brands. Their power output is usually class leading, but the cramped ergos make it feel like you’re liable to endo off every jump. 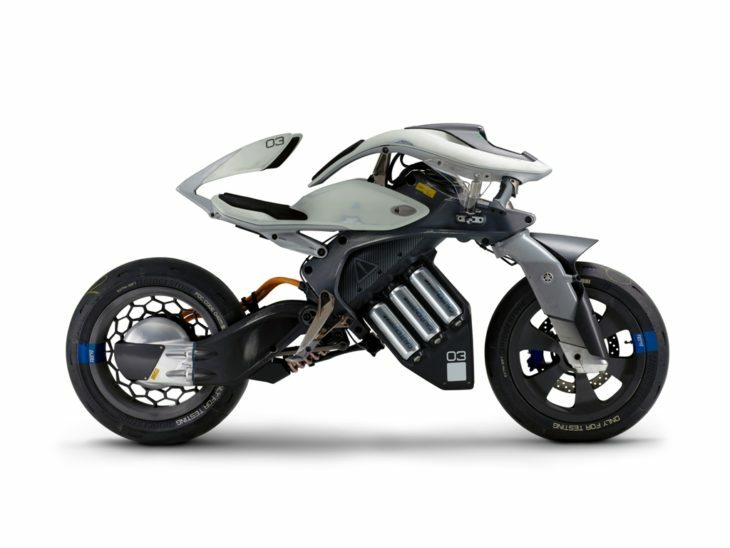 Motorcycles do not mix in well with an autonomous future. Better get your motorcycling kicks in now before the gov tells you that you’re no longer able to ride that dinosaur bike of yours on the street. Is there any way they could make it look more uncomfortable? Asking for a naval base south of Florida. Born too soon I guess. I always felt a motorcycle would be all I really needed if only… the upcoming generation of riders will get to live the dream. The proper Japanese-to-English translation is “Reacharoundsan”. Obviously, it’s a non-binary design. And they couldn’t put an electric starter on the SR400. The reason it was so popular in Japan for four decades was that is was kick start only. The Electric start second generation SRX400 came and went in just few years. Intrigued by the two wheel steering. Counter-steering rear end would make cornering tight. But can it cross the desert to fetch Jamie, and bring him back to the soda machine with change for Flo? Or I could just walk over to my bike and get on it. Let go Bike!! Yer’ ain’t from ’round here, er ya. I’m originally from Minnesota. The cultural and intellectual hub of the universe. The Mud Duckery hub, I assume. Somewhere in Georgia. The cultural and sub-intellectual hub of the Piedmont Plateau. No offense, I just mistook you for an off-worlder. I imagine you get that a lot considering where you are from. Even in Minnesota I am occasionally mistaken for a man who have recently fallen to earth. I was smelling cheese as I read Mr. Hill’s comment.